Carrot is designed with you in mind. It's a seamless experience, meticulously crafted, from beginning to end. It's not just a vegetable, it's what a vegetable should be. Easy to use. Easier to love. You shouldn’t have to fumble around with juicers or peelers to get a great vegetable experience. With Carrot, simply lift and chew. That’s it. Carrot works with your body to do all the hard stuff, so you can get back to doing what you love. 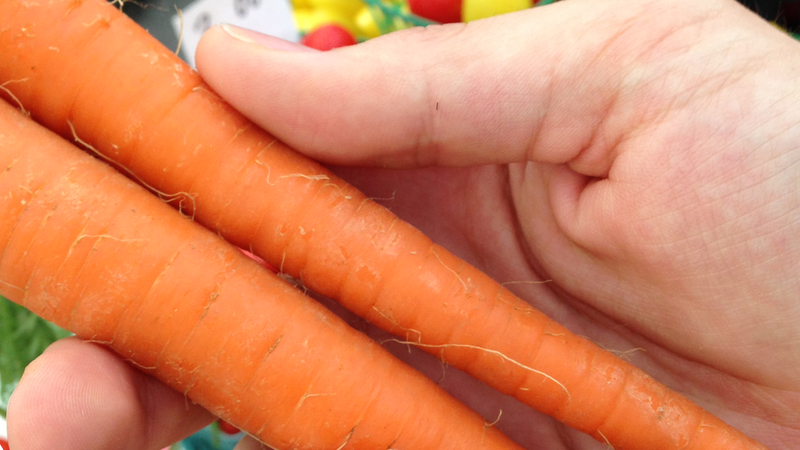 From the moment you pick up your Carrot, you’ll notice the care and attention that went into every detail. The unique texture, the striking colors and the pleasing crunch provide a world class experience for each of your senses. The Easy Way. Your Way. You're unique. Your Carrot should be too. Carrot can be prepared in an unlimited number of ways. Carrot can be boiled, cooked, or even baked into a cake. You can even hold Carrot in your mouth and pretend it’s a long cigar. Carrot is made for anything, leaving you ready to take on everything. Carrot doesn’t just taste great. Carrot also provides an array of powerful nutrients, including Beta Carotene, Vitamin A, and Vitamin K. Carrot has even been shown to reduce the risk of colon cancer. * With Carrot, you won’t just be feeling great. You’ll be feeling your best. Ready to Pre Order? Interested in giving us some seed money? Drop us a line!